Live Auction Pièce de Résistance! 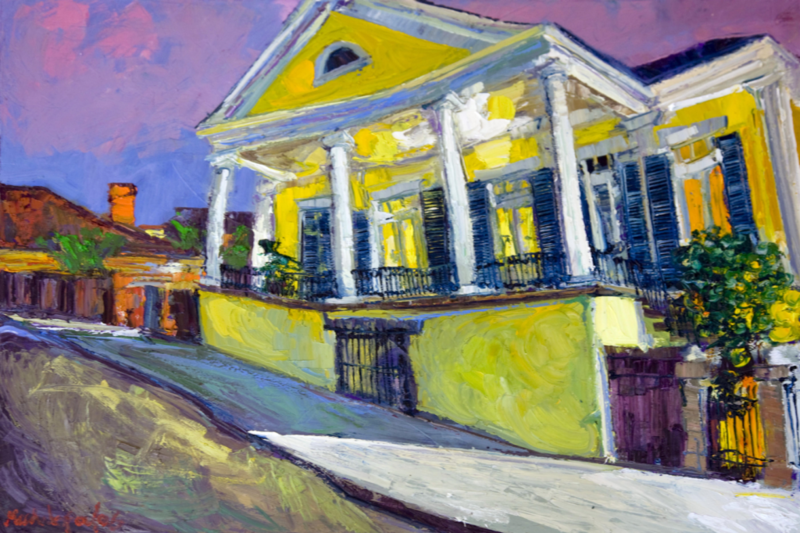 This dazzling original oil painting by James Michalopoulous depicts the Beauregard-Keyes House, a historic French Quarter home built in 1826. This piece is available for pre-viewing at the Loews Hotel in the Central Business District. This exclusive dining experience for 10 begins with a one hour cocktail class. Nosh on hors d’oeuvres and follow along as a Broussard’s mixologist teaches you and your guests how to prepare the perfect mixed drink, all in the privacy of the Josephine Room overlooking the Broussard’s Courtyard. Then, sit down to a five course dinner with a seasonal menu and custom wine pairings, served to you by a courteous and experienced wait staff. Chef Jimi Setchim will visit your party at the end of your evening to answer any questions you might have about the meal. 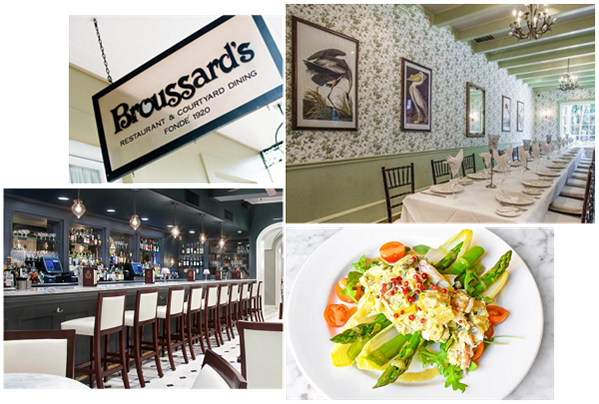 Learn more about Broussard’s restaurant at https://broussards.com/. Enjoy a four-night stay, valid for one year, excluding mid-December to mid January. 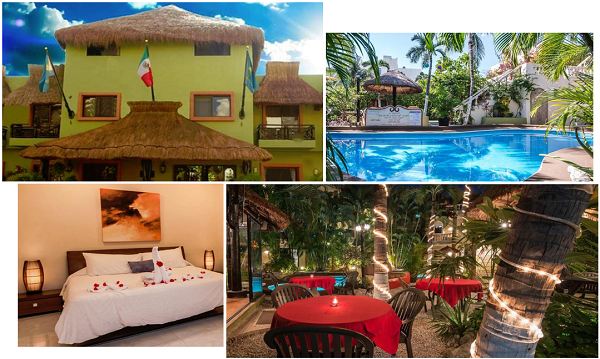 The Hotel Aventura is an oasis of silence and beauty, located just off 5th Avenue, 2 blocks from the beach! All guestrooms include: air conditioning, private bathroom, TVs, phone, patio/veranda (most rooms), cooked-to-order breakfast, free in-room Wi-Fi, beach club access, beach towels, free onsite parking (limited), mini refrigerators, safe deposit boxes & hair dryers. Other amenities: Mayan Bistro restaurant & bar, tours & airport transportation concierge, 2 swimming pools (unheated), 3 sundecks, Spa, complimentary day changing & shower room, internet center w/ with printer. Learn more at http://aventuramexicana.com. The French countryside is calling! 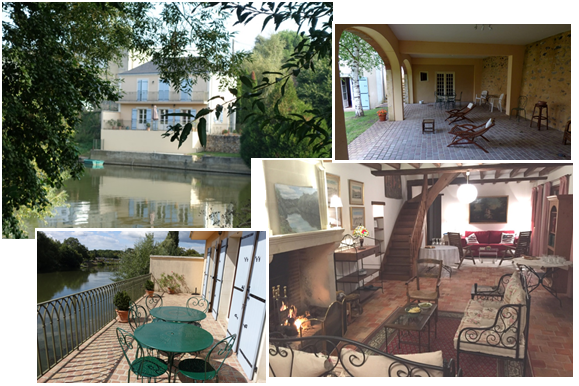 Enjoy this delightful townhouse in Sablé-sur-Sarthe, a charming French provincial city located just 90 minutes (by TGV) from Paris. Recently renovated, the house boasts wrap-around balconies on two floors, a spacious covered terrace overlooking the garden, and river or garden views from every window. The 3 bedroom/2 bath house accommodates up to seven people. Quaint French villages, as well as majestic chateaux, dot the area. The Atlantic Ocean beaches, as well as the famous Loire Valley vineyards, are within driving distance. Summer music festivals abound in the area. Rental boats for river cruises are only a short walk away, as are grocery stores, bakeries, pharmacies, the weekly fresh food markets and other small town amenities. Vive la France! Looking for an urban getaway? This modern Parisian apartment may just be the place for you – and your three guests. 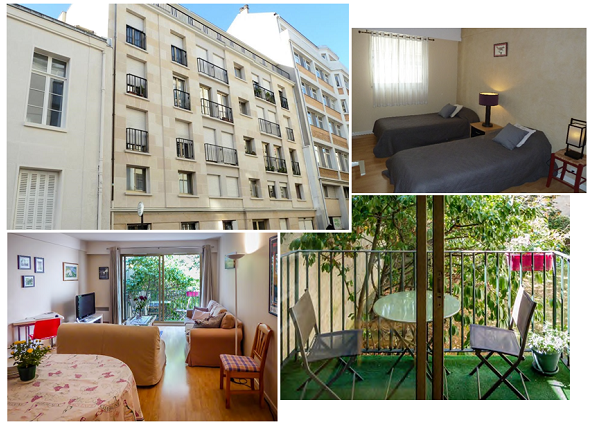 Located between the Marais and Père Lachaise Cemetery in the trendy 11th Arrondissement, this 2 bedroom home boasts a fully equipped-kitchen, an in-unit washer/dryer, TV, and an idyllic balcony. Explore the bustling neighborhood. Numerous cafés, restaurants, boutiques, galleries, and bars are steps away! Or use the nearby Metro stop to get lost in the City of Lights. Click here to buy Gala tickets! Like what you see but won’t be in attendance? E-mail us at info@vcpora.org or call us at (504) 581-7200 to discuss proxy bidding.